I’m excited to share Youngevity with you because I believe that it will change your life — both physically and financially. If you’re like most people, you’re looking for real health and wellness. Read about Majestic Eagles, and what make this team Awesome! We are the Majestic Eagles and we are a team whose mission is to “Change Lives, To Stop Human Suffering, Physically and Financially.” We are passionate about making a difference in our world today; we are about creating our own economy. So many of us have given up on life, we have given up on making and or being a difference in a person’s life. The question becomes, why have we given up? Want to know more about Youngevity? I’ve got you covered. Get the inside scoop! What if you could wake up each day full of energy and vitality with that unmistakable glow of radiant good health, abundant possibilities and ample prosperity? That’s what Youngevity is all about! 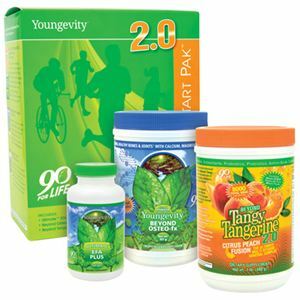 Youngevity is a technologically advanced, stable nutrition company dedicated to improving lifestyles and empowering individuals. The hardest thing about moving forward is just getting started. I believe you have what it takes to be an Eagle! Found out how life changing you can be! Founder of Youngevity, a pioneer in biochemical research and a groundbreaking health educator. He is also the creator of the best-selling audio recording “Dead Doctors Don’t Lie,” with millions of copies distributed worldwide. 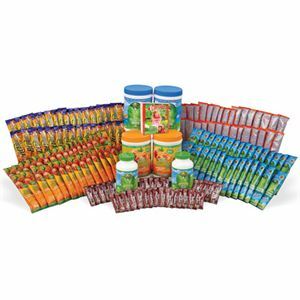 Youngevity is an innovative, fast-growing, yet stable company with a state-of-the-art facility that ships cutting-edge products to more than 65 countries. Due to current trends in obesity and many chronic diseases, experts predict that health and wellness will soon be a trillion-dollar industry. More than any other period in history, consumers are looking for nutritionally based solutions. 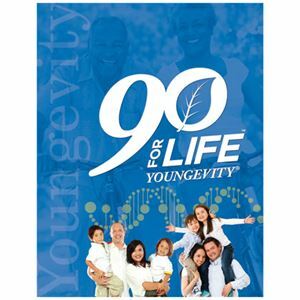 The Youngevity catalog includes more than 3,000 products, covering over 15 consumer categories. We insist on the highest quality when it comes to raw ingredients and manufacturing practices. Choosing the Youngevity Way of Life! Discover what makes Youngevity so different. Great products and an amazing business opportunity. When you join Youngevity, you start with your passion product and then decide when and what to add on to your product offering. What’s So Different About Youngevity? Nutrition. What’s So Different About Youngevity? Sports Nutrition. What’s So Different About Youngevity? Food and Beverage. What’s So Different About Youngevity? Pet Care. It’s important for you to understand the difference, benefits and limitations of each BEFORE you decide which to choose. Talk to your sponsor now!! To improve your health and save aprox. 30% on the product purchases. You can also receive FREE product incentives by referring others. Save Money on products – Get company to pay for your products – Earn a good, part time residual (second) income. Save, Earn and fully qualify yourself immediately for all quick start bonuses (75% of your income potential initially). Earn FREE healthy start packs. Unlocks the Full Unlimited Income Potential of the compensation plan (extra CEO coding bonuses, paid vacations, infinity bonuses, fast start bonuses, car bonuses, etc) and build CEO level income as fast as possible. (The Ideal choice for serious, fully committed entrepreneurs). ALL top income earners are CEO Qualified! 6 ways to Get…YOU Paid! Receive a $100 bonus for any personally-enrolled Distributor who purchases any CEO Mega Pak. Enjoy a 30% bonus on the BV of newly enrolled distributor’s (or customer’s) purchases within their first 30 days. These bonuses are paid on purchases up to 750 BV total per new enrollee. You can choose to resell products at the suggested retail price, and you can enjoy the difference between Youngevity’s wholesale price. These retail profits can pay up to 30% and are a nice addition to your monthly check! Enjoy long-term, residual income and no longer trade your valuable time for money! Receive between 5% and 8% of your personal and group BV on up to 8 levels of your downline organization. The Infinity Bonus is rewarded for building depth within your organization. This bonus is paid potentially to an unlimited number of levels! Refer three new Healthy Body Start Pak™ customers during any calendar month and get your next Healthy Body Start Pak for FREE!